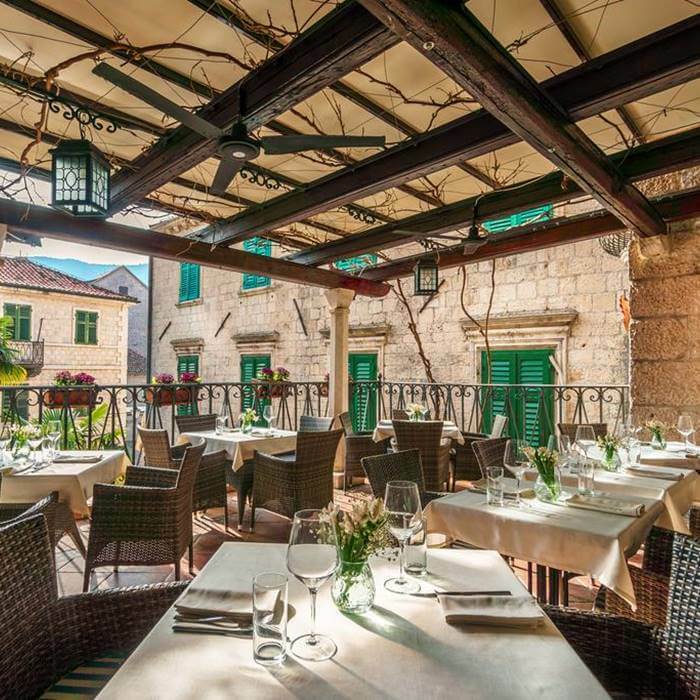 Four-star hotel Monte Cristo is perfectly situated on a charming little square in the heart of Kotor. 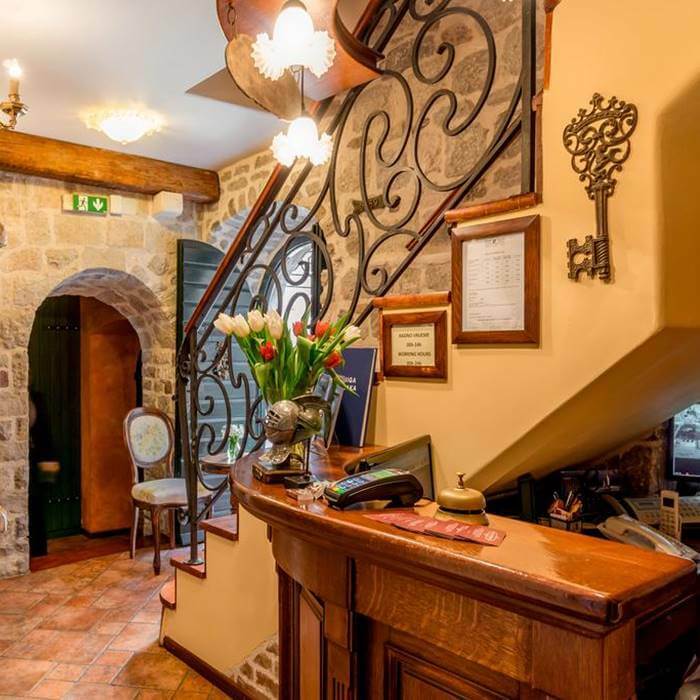 The characteristic building from the 13th century offers eight rooms in a traditional, classic design with an intimate atmosphere and lots of personal service. 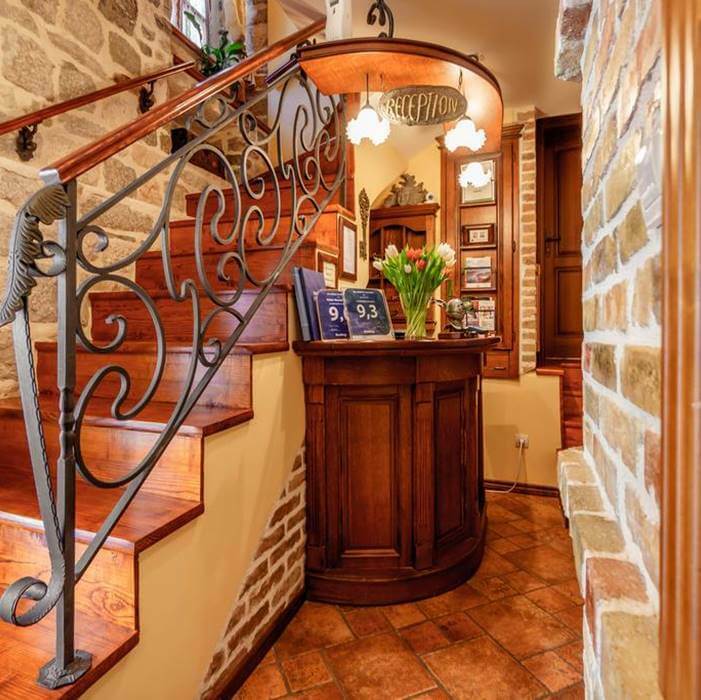 If you love staying in historic buildings, then this hotel might be just what you are looking for. 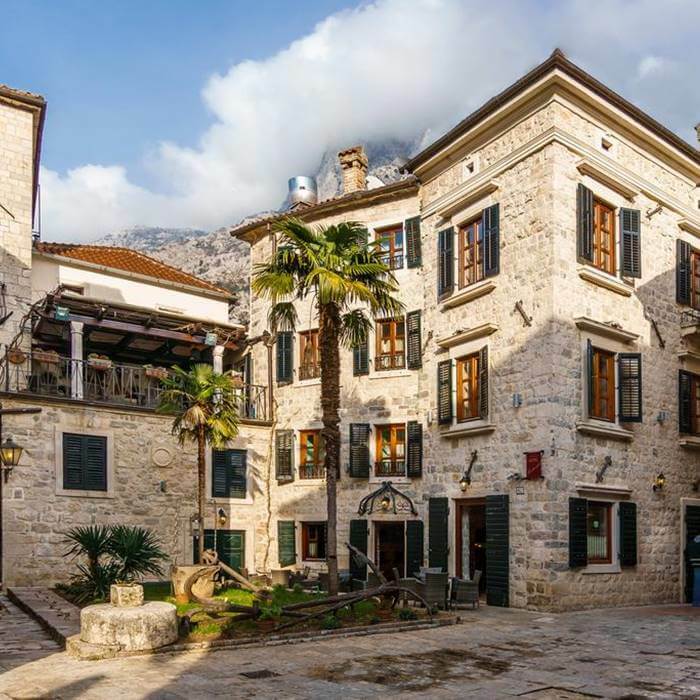 It is said that the first bishop of Kotor has lived in this beautiful building many centuries ago, and plenty of the original features still remain, such as the lovely stone walls. 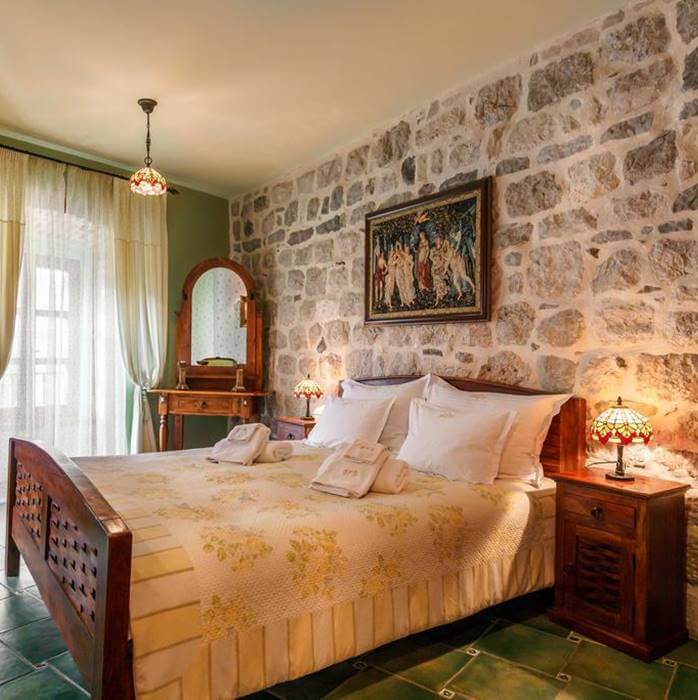 The rooms are decorated in an elegant, classic style, with colourful tiles on the floors and in the bathrooms, traditional dark wooden furniture, romantic bedding and curtains and an overall warm and cosy feel. The owners have been able to combine the historic aspects of the hotel with all the necessary modern conveniences in an excellent way. Monte Cristo is known for its friendly and helpful staff. 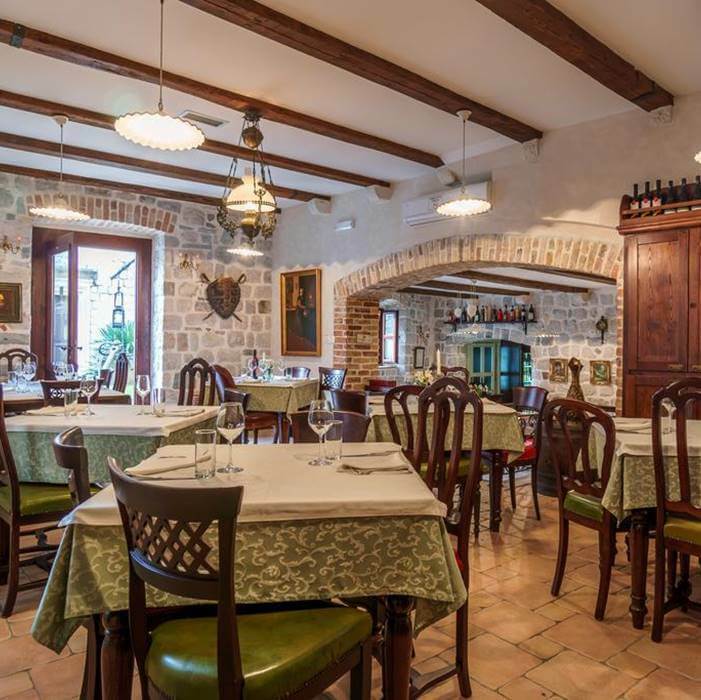 Thanks to its small size, the staff is able to offer its guests a very personal service, which includes providing insider tips for exploring Kotor and its beautiful surroundings. 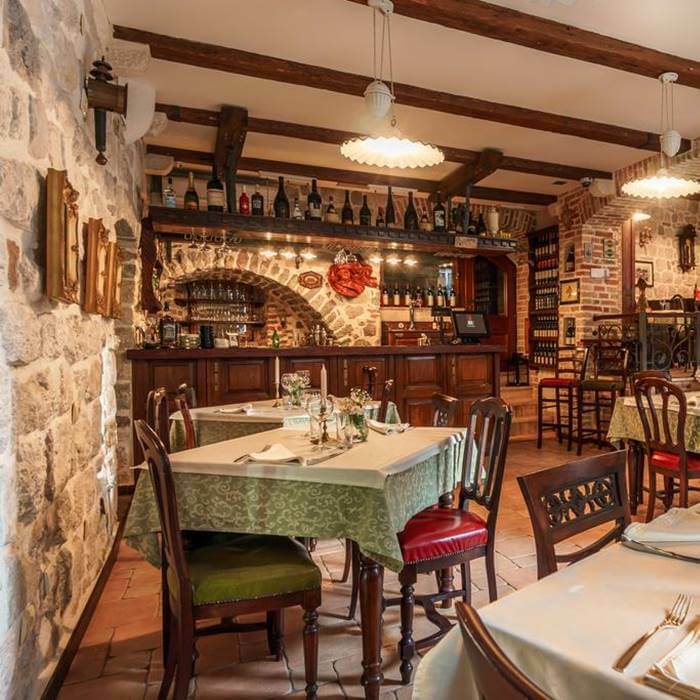 The hotel’s restaurant, called Luna Rossa, offers a charming and rustic dining room, a wonderful courtyard and a romantic terrace where candles are lit in the evening to create a special ambiance. 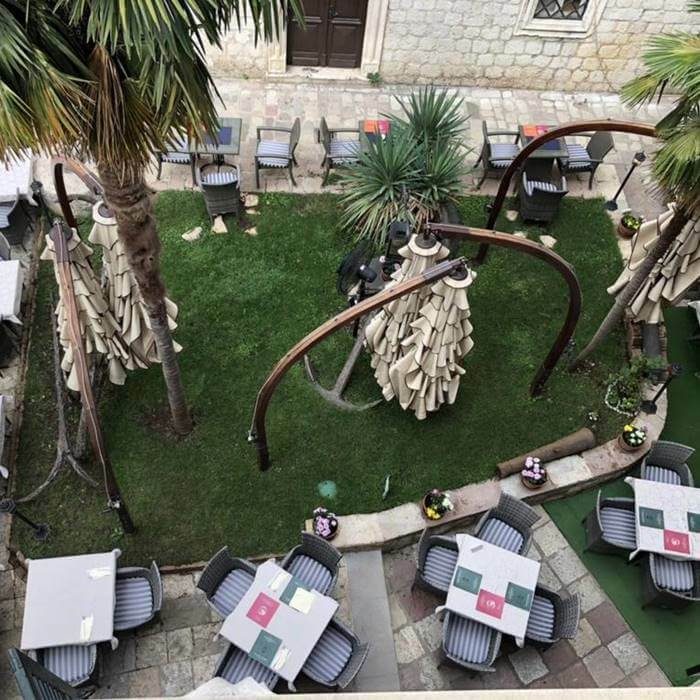 Since the hotel is located in the car-free center of Kotor, guests need to park their car at a nearby location just outside the city walls. Hotel staff will gladly take your luggage to the hotel so you don’t have to carry anything. Parking is free but a reservation is needed. Please keep in mind that the rooms in Hotel Monte Cristo are divided over three floors but there is no lift available.